Winners move on to state and national competition. PORT ORCHARD — Quest students from three South Kitsap middle schools participated in the Regional History Day Contest at Olympia College this spring. 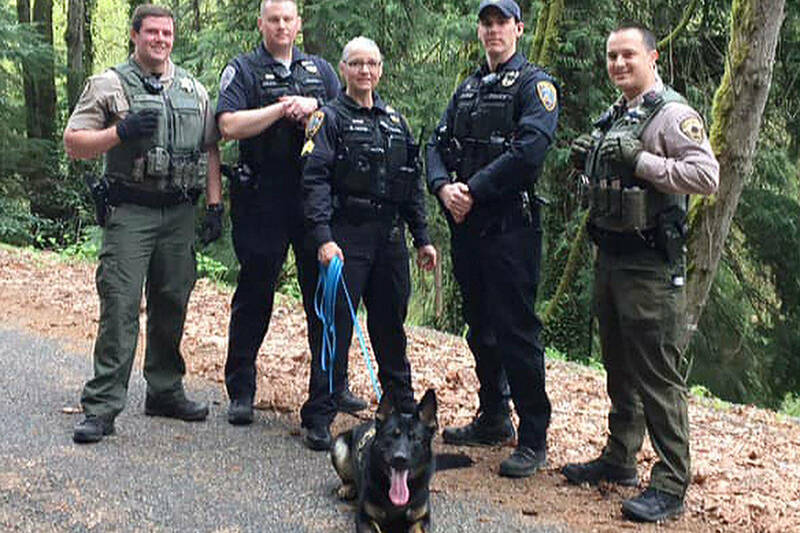 They competed against students from schools all over the Kitsap and Olympic peninsulas. 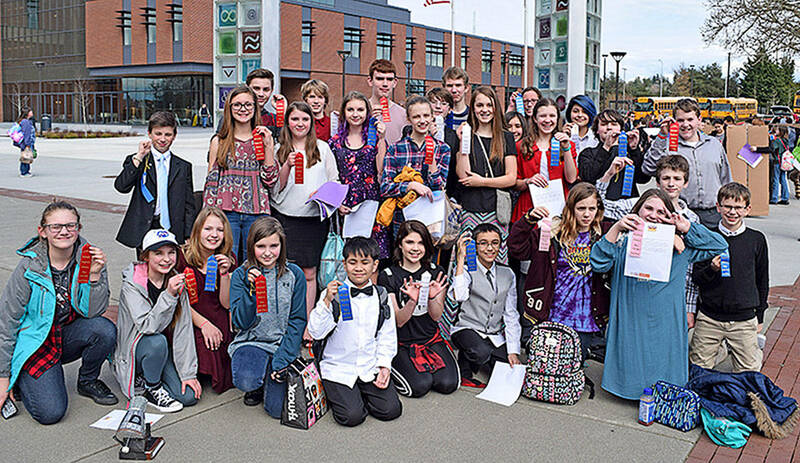 Thirty-two South Kitsap School District students were selected to move up and participate in the State History Day Contest at Green River Community College in Auburn. “We’re extremely proud of this group,” said Maureen Dawson, coordinator for the district’s Highly Capable Program. At the state competition, the students competed against students from throughout Washington state for a place in the national competition at the University of Maryland-College Park, near Washington, D.C.
John Sedgwick: Farris Hovater; Aidan Haro; Harvest Savoie; Nick Brimhall; Ashley Sciocchetti; Keegan Grolley; Reagan Kelly; Jamie Thoma; Emmy Hickle; Colin Cox; Haylee Cox; Kayla Hughson; Niall Rosenberg; Anelyn Case; Braden Gunyan; Odessa Cook; and Quinn Suligoy. Marcus Whitman: Madelin Robison; Spencer Northrup; Kelton Rhodes; Garrett Occiano; Reece Manansala; and Ethan Duarte. Cedar Heights: Jordan Bartlett; Gaby Coleman; Jenna Schmidt; Polina Dorogava; Ian McGaha; Zoe White; Katie Hamilton; Brennan Koontz; and Nadine Larsen. National History Day is an academic program focused on historical research, interpretation and creative expression. An independent study found that participation in the National History Day Contest benefits students far beyond the competition, Amy Miller, the district’s spokeswoman, said.